Board certified in radiation oncology, Dr. Jeff Kanski earned his medical degree from the State University of New York at Buffalo School of Medicine and Biomedical Sciences. He completed residencies in nuclear medicine at the University of Alabama and radiation oncology at Tufts Medical Center in Boston, in affiliation with Brown University in Providence, Rhode Island. Following his residencies, Dr. Kanski pursued fellowship training in neuro radiation oncology at the University of California San Francisco School of Medicine. 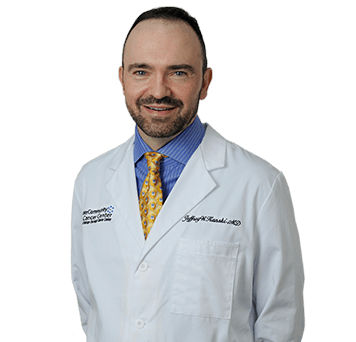 Dr. Kanski has been treating patients in Florida since 2003. Previously, he was on the staff at Massachusetts General Hospital treating head and neck cancers, and he was an instructor at Harvard Medical School.